Hotel pickup at 09:00 AM or 2:00 PM. The guide will wait you at your hotel lobby, by holding a paper sign with your name on for you to recognize. Take a half day trip in the Olympic Green, the site of 2008 Olympics. 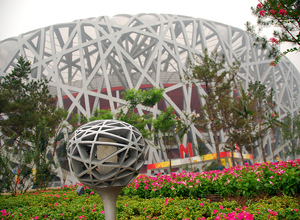 The Bird’s Nest and Water Cube are outstanding for their modern and novel design. They are perfect for taking photos with. Be transferred back to hotel. End of our service.